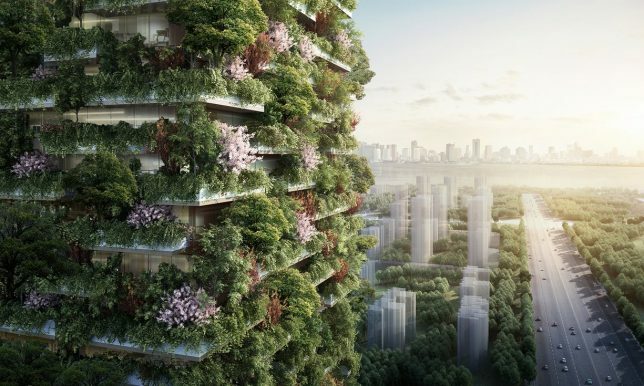 A new series of treescrapers designed for Nanjing, China, aim to combat air pollution with plant-covered towers, but this bold vision may represent hubris more than hope. And the figures put out to the press are impressive: these new buildings could, according to estimates, remove 25 tons of carbon from the air annually and produces a lot of oxygen in the process. Still, embedded carbon in plants has to go somewhere eventually — leaves and branches that break off of these vertical treescapes will eventually fall to the ground, adding to street-level pollution. Projects like this face downsides and challenges, too. A lot of embedded energy (and thus: carbon) comes with retrofitting buildings to support plants. There are intensive structural requirements (for soil and trees) but also active system demands, too, that add to inputs and costs. As plants grow, they also have to be maintained — a lot more challenging than just sending window washers up and down the sides of a skyscraper. 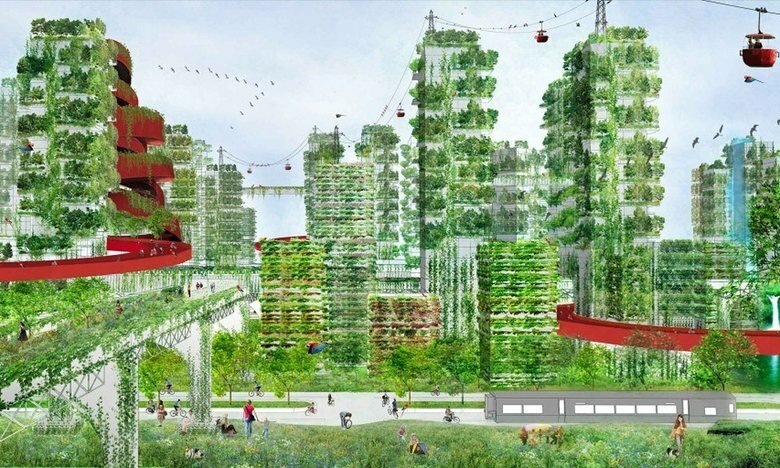 Ultimately, it makes sense to think about how cities can go green, but adding thick and lush greenery to the sides of buildings risks being an act of greenwashing more than one of sustainable design. The ground is a much easier place to plant greenery, plus an easier space for everyone to access and enjoy. 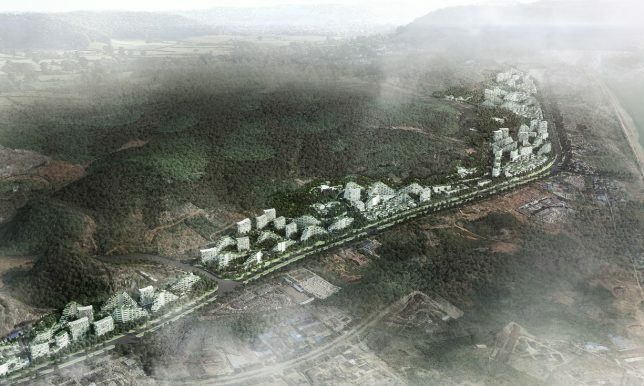 Even the above rendering of one of these planned communities makes this point indirectly: there are a lot more trees on the ground than there are on the buildings in the image.